Now that would be a woodgas project. Any plans? You get the cover page for the MOST outrageous truck! Who said everything’s bigger in TX? 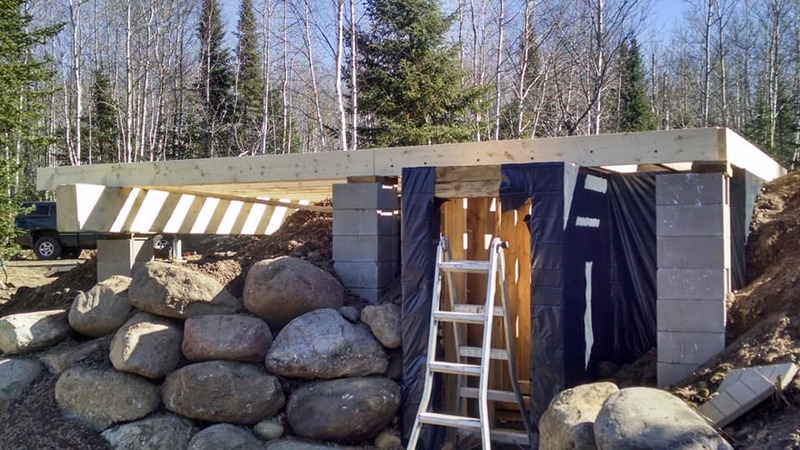 The walls of the root cellar are done and wrapped. 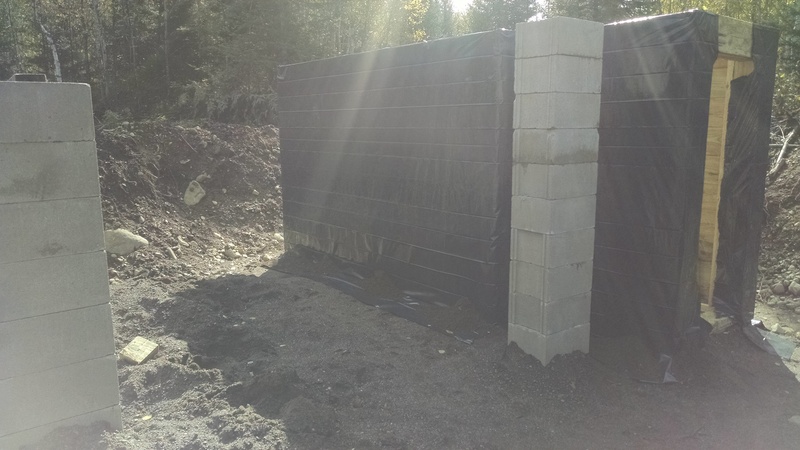 Just waiting for the guy to drop off some dirt so I can backfill. I used tamarack or some of you may know it as larch. I had some dirt delivered and picked up more rough cut lumber. 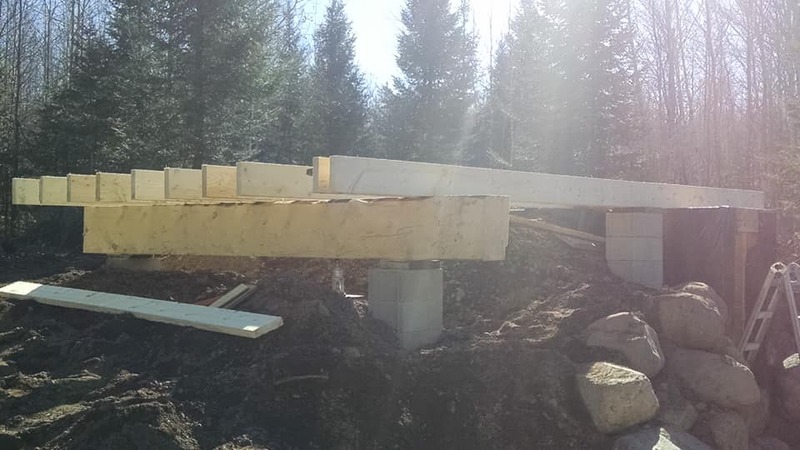 I was able to start on the floor joists for the sugar shack now. 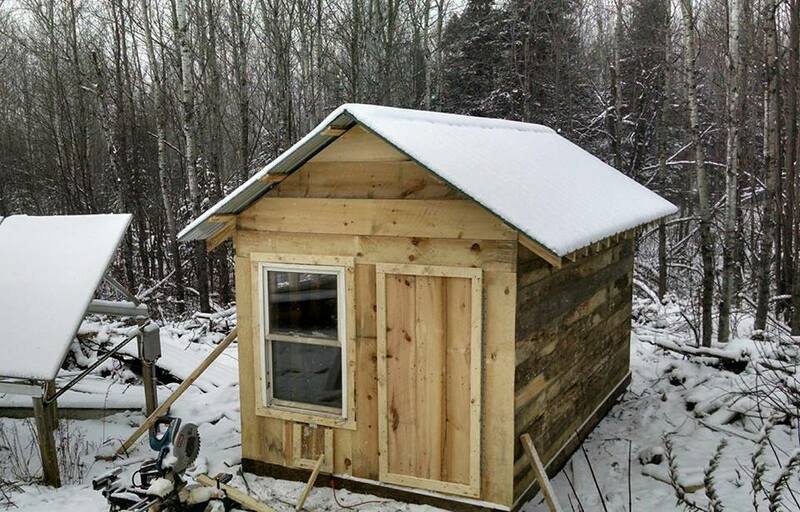 I made shiplap boards for the floor of the sugar shack and have since covered it in plastic to protect it from the rain and now snow. 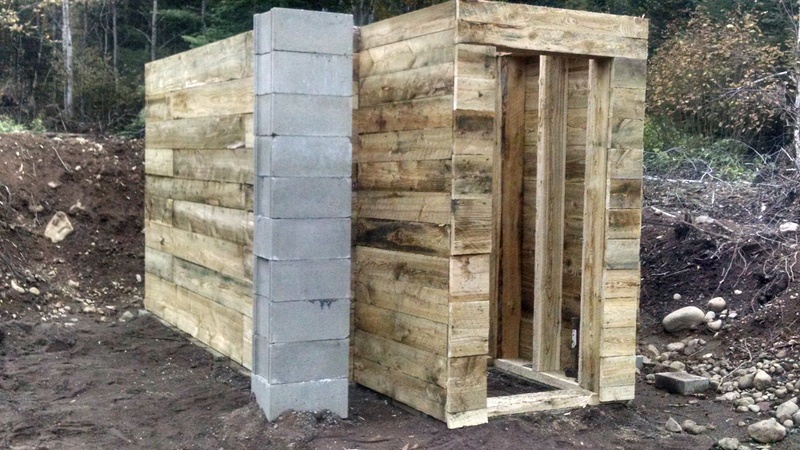 After I finished the floor, I started building a 8’x 16’ chicken coop. In September we had 43 birds now we’re down to 28. I’m not sure if nature got them or if they’re hiding from the snow. I got the 2x4’s from a local sawmill and most of the siding are 1x10’s and free from a neighbor. It was 20F or -7C, snowing and windy all day today. 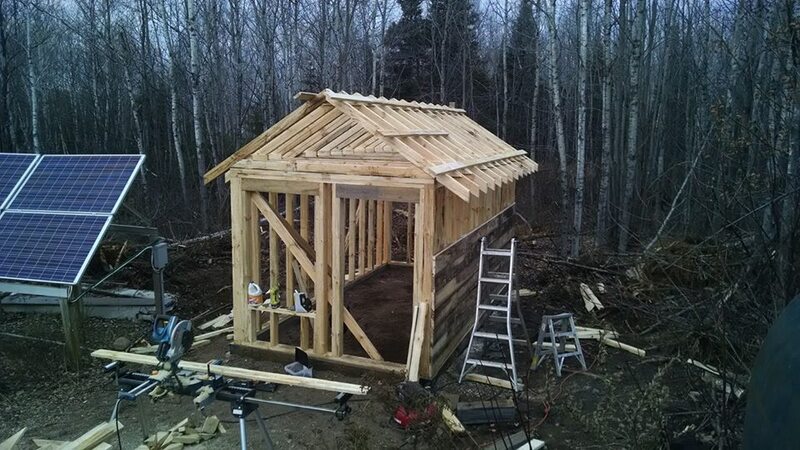 I still managed to get some work on the coop done. I work until my fingers are cold and then go inside to warm up for a while. I have some free insulation from a friend. I will put it in the ceiling in my egg factory here. I will then put poly and some plywood I have laying around. About the same here today, not impressed with the early onset of winter. The warmer the better for the hens. Be very wary of any hole or gap the size of your finger, if a weasel gets in it will cause major destruction, and then the chickens won’t want to roost in there. By the sounds of your losses, I would guess an owl, weasel or skunk. That looks great Bill, everything you do is craftsmanship work. I hope I can buy a bottle of your maple syrup at Argos next year. I think a mink if you have them are worst than all three of the others, weasel, owl, or skunk. All four are common around here. If the mink can get it’s head in the hole, they are in. The coyotes do some damage by ambushing them in broad day light around here also. We let our chicken free range. We have found to not let them out before noon. Bob, I hope to have enough maple syrup next year. This last season was terrible. I should have some birch syrup too. The birds have been outside all summer. They hang out in the fallen trees. We have owls, weasels, hawks and pine martins. I typically leave the coop doors open so if a predator does get in, they can escape. The winter is different. I keep it closed so they don’t have to endure -30 F temps. Tonight will get down to 5. Hey, at least it’s above 0. 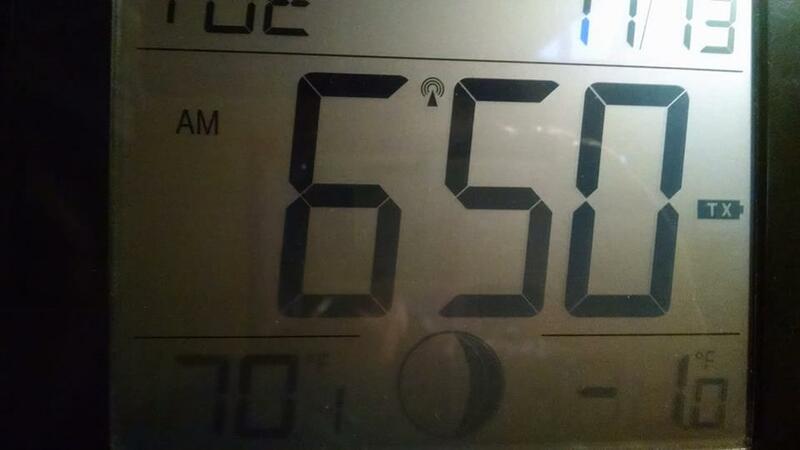 We woke up to our first Sub-Zero temps of the season. Yesterday we replaced our old battery bank because I ruined the the other batteries the first winter 3 years ago. We’ve made do long enough. This bank is 10kW at 50%. That is about 2 days worth of power for us. The old bank was so bad, it was only lasting for about 4 hours with this cold weather. The bright side of this means we get to see the sun today. That makes two of us Bill. But when I worked 12 hrs. shifts I got up at 3:45 am drove an 1 1/2 hours to work. Worked from 06:00 am to 06:00 pm and a 1 11/2 hour drive home. Worked day shifts and night shifts. Life is good getting up before 07:00 am. It’s not the time, it’s the significant lack of heat energy in the atmosphere. But it looks like I just got roped into driving to Chicago tomorrow to haul a load of furniture. It’s supposed to snow there Saturday I think. It snowed today in Chicago, about 1 1/2". First day driving in the snow to work. Winter is here! We are all looking forward to the 40 degree temps possible this weekend. 16 degrees yesterday on my way to work…Good luck on your trip to Chicago! Bob, when I was a nurse, I worked 3 12’s and on the 3rd day, I worked an extra 4 hours for time and a half. Then I quit that and started a plumbing and drain cleaning company. It was a 24/7 business. Then I worked 40-90 hours per week. I did that for 23 years. Both jobs were helping someone else. Now the work I do is for my wife and I and I don’t have any drive time through rush hour traffic. Now the only traffic I have to deal with is, the chickens running hoping I have some treats for them. I take naps when I want to. Life is good. The only way it can get better is when I don’t have to build anything anymore and I can enjoy the fruits of my labor. 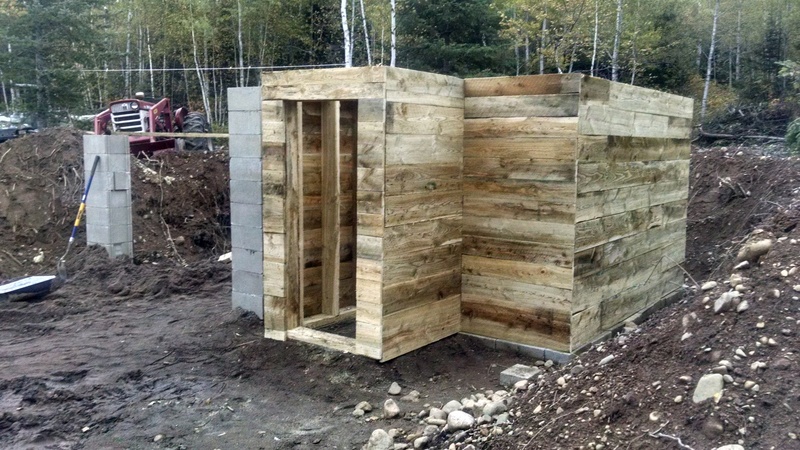 Wood gas, foraging, and making syrup is my goal. Billy, you’re almost here. Keep heading north. We had about 4" of snow on the ground and another 1-2" tonight. I have a snowmobile ready for you to use.